Имате въпрос към Hotel Kumkum? При посещение в Мумбай, в Hotel Kumkum ще се почувствате като у дома си, защото предлага квалитетно настаняване и отлично обслужване. Оттук гостите имат лесен достъп до всичко, което този оживен град може да предложи. Лесен е също така достъпът до места като Консулство на Сингапур, Bhimnath Temple, Church Mission House. Възползвайте се от богатството на ненадминатите услуги и удобства в Мумбай. Безплатен WiFi достъп във всички стаи, 24-часова рецепция, съхраняване на багаж, Wi-Fi връзка в общите части, рум-сървиз са само част от нещата, които отличават Hotel Kumkum от останалите хотели в града. Хотелът се характеризира с 28 стилно обзаведени стаи за гости, в някои от които ще намерите климатик, събуждане, плътни завеси, вентилатор, телевизор. Освен това в хотела можете да се възползвате от множество предложения за приятно прекарване на свободното време. Каквато и да е причината за Вашето посещение в Мумбай, Hotel Kumkum е идеалното място за една вълнуваща почивка далеч от всичко. Wi-Fi services are available only in the lobby area. Чистые номера,хороший матрас,подушки,чистое белье)Всегда есть горячая вода и интернет!Неплохое и дешевое кафе на верхнем этаже)Близко к метро,рядом рынок и магазины) Пожалуй это лучший отель в Мумбаи за последнее время! Неоднократно останавливался в этом отеле!Небольшие,но чистые номера в которых есть все необходимое!Горячая вода,интернет,чистое белье,приятный персонал,крыша с кухней,рядом метро,рынок и супермаркет! The staff is very much unfriendly. They will give weired look do not know why, No lift in this hotel. Receptionist will try to harrass you as much as he can. 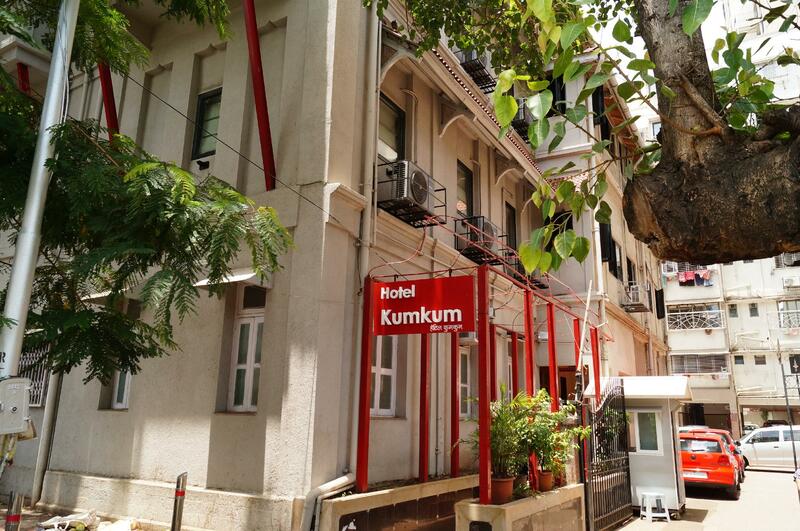 Hotel Kumkum offers clean and spacious rooms at affordable costs. The staff is attentive, kind, and hospitable, especially Anup. The hotel ia located very near the Durbar Square and is accessible to several restaurants and public transport options. The hotel, however, is away from Thamel, which is Kathmandu's main tourist district. This hotel works if you want to be closer to Durbar Square and away from the tourist crowd. The Staff are outstanding! From the check-in to advice from the owner regarding the sights of Mumbai to the restaurant staff,all were excellent. Location is great near Grant Road train station making it easy to get into Central Mumbai. Chowpatty beach is close by also. 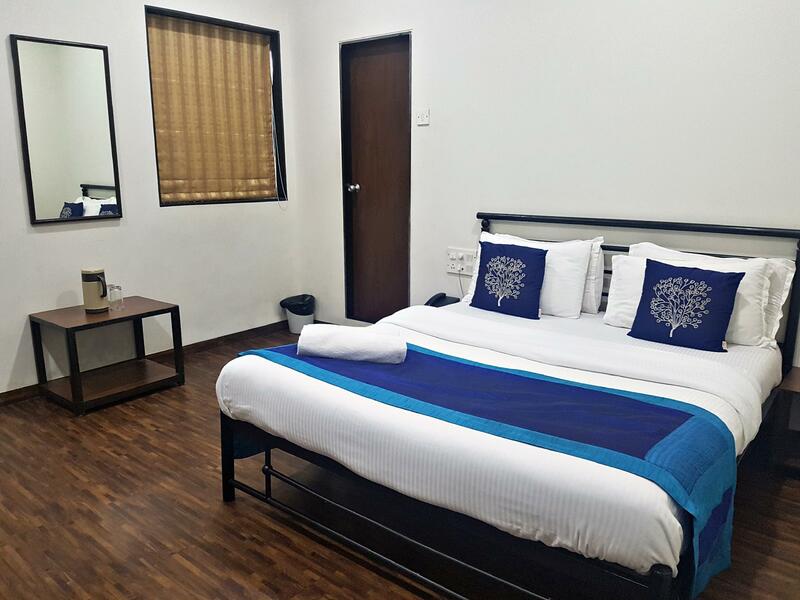 Rooms are very clean and maintained daily. Food at the upstairs restaurant is excellent and the staff very friendly. A real oasis in Mumbai. I had a pleasant two-night stay at this hotel. 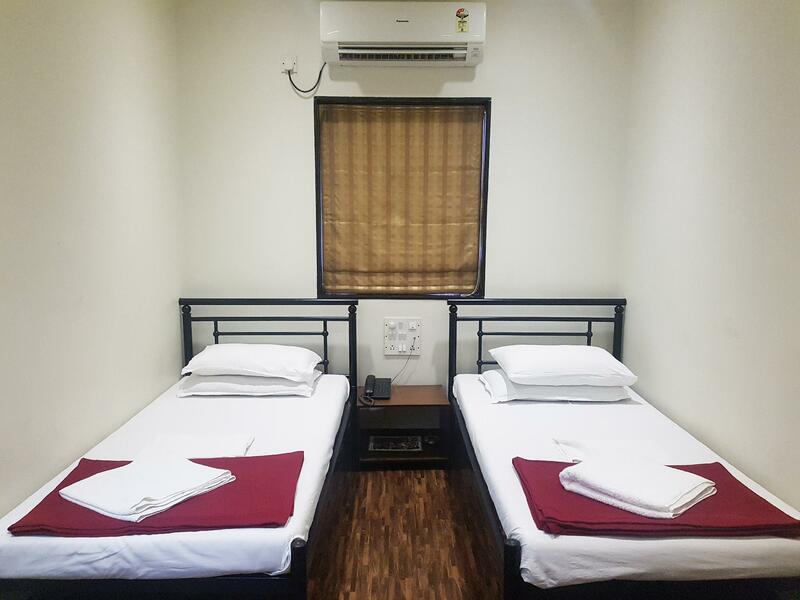 It is very close to Mumbai Central and, if you enjoy walking a bit, walking distance to Mahalaxmi Temple, Babulnath Temple, Mani Bhavan Gandhi, and Chowpatty Beach. It's also very close to the only large grocery store that I saw in all of India! The room was clean, not too small, and the bathroom had a hot shower. Wi-fi is only available in the reception (where there is only room for two people to sit right direcly in front of the desk) and the restaurant (which is small, so I felt guilty taking up one of the three tables jsut to use wi-fi), so it's not very convenient. For it's location and price, I would consider this hotel to be good value. However, it wasn't anything special. The bathroom seemed to be really new when we stayed at Kumkum and therefore was really clean and nice. The floor in the bedroom, though, was really used and a bit stained and dusty in the corners. It was much smaller than the fotos suggested and it smelled strange. Especially the cupboard smelled so bad that we didn’t put anything inside. The staff was friendly and close by there are real local restaurants where you get real food for non-tourist prices. Also, a supermarket is around the corner (5-7 min walk). Dear Guest Thank you for choosing our hotel, and for taking the time to write a very detailed review I am extremely sorry that you had to face such difficulties, problems in customer service is not something I am known for. As you can see from our other reviews, I pride myself in providing great customer service and I would like to do the same for you. I may not be able to change the past but if you give me a chance, I will completely make it up to you. Good service except food. They do not offer so many varieties of dishes also food prices a bit expensive. Otherwise all services are very good. All Staffs are very friendly. This hotel was fine for cheaper accommodation. We stayed here merely because we were flying early the next day. The hotel was clean and the staff were very helpful and polite. The location however is hard to find! It took us nearly two hours with several taxis to find this place! I would recommend arranging transport with the hotel for this very reason. Also the location is far from tourist destinations, but great if you want to see more of a local picture of India.